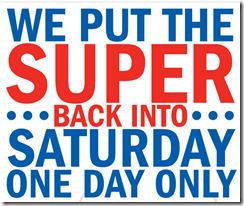 Check out Give Me Neither for the Meijer Super Saturday Ad Preview and Coupon match up. Sarah does a great job of matching up the sales with coupons. Next post: FREE Chavrie Goat Cheese & FREE copy of For The Love of Goat Cheese from Chavrie.